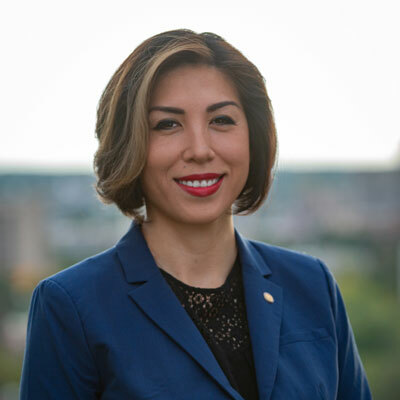 Paulette Jordan was born and raised in Plummer, Idaho on the Coeur D'Alene Reservation. A member of the Coeur d’Alene Tribal Council, she is the mother of two sons, and is descended from a long line of elders and chiefs including Chief Moses, of the Sinkiuse-Columbia, and Chief Kamiakin, of the Yakamas. Paulette earned her BA in three majors simultaneously: Communications, Comparative Literature and American Indian Studies from the University of Washington. While there, she was the student representative on the University president’s board and she worked with then–Seattle mayor Greg Nickels’ office. In 2014 she was elected to represent her home county and served two terms in the Idaho Statehouse. In 2015, she was certified in Energy Policy Planning through University of Idaho. She was certified as a senior executives in State and Local Government, by Harvard University, John F. Kennedy School of Government, in 2016. She is also certified in Conflict Resolutions and Strategic Negotiations, through the Washington Center. Jordan is the secretary of the executive board, of National Indian Gaming Association.